Find free classifieds for Personals for sale or to buy in Maharashtra. FREEADS in India offers you a platform to post free advertisements or classifieds for Personals, Maharashtra. FREEADS in India helps you search, find, buy, sell, rent or hire in various categories like apartments, goods for sale, local services, cars , jobs and many more in Maharashtra. Shown below are ads available in Personals, Maharashtra. You can use search box above to refine your search. Searching true female friends in pine for friendship, if interested then msg me on my what's app-8149773306. either in pune or maharashtra for a gud friendship, discreet but long lasting for a chat, and friendship age preferred above 45 years only please take this seriously , and if really intersted do revert I am 56 in pune. BiWi is a matchmaking service that finds compatible rishta for shaadi and unlimited happiness. Now you can celebrate your shadi with our A-Class services. http://www.biwi.in/. 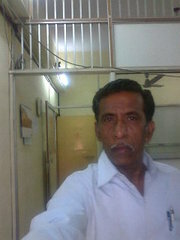 hi i am 45 yrs married male, looking for good female friend for extra marital relation. cont 7738764397. India's first matrimony website with free Sign-up. View everynoe's profile, Express Interest, Send message and get contact details all for free. So join today and get your life partner that to with out spending money. For more details visit: http://www.jeebonsathii.com. or call us at :09732157736. Myself Rohan. I am bachelor and independent. I like to do in different position. If any Lady Interested. can call me on 9867331988. 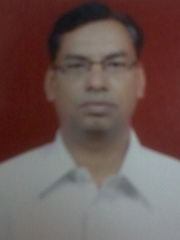 I am a senior level executive in MNC. Divorcee. 42 years. Looking for friendship with Women in Mumbai of age 30 - 33. Should be good looking, educated.Open minded females are invited for a long term relationship..
StyleCracker.com is a first of its kind personalised styling platform. Our expert team of stylists are available 24 x 7 to solve any style, fashion or beauty related queries within minutes. 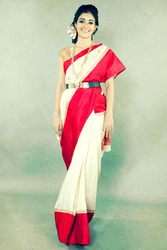 India's 1st Online Styling Platform. Get your very own personal stylist 24/7. Everyone has their own personal style. I am a well educated man. I am a enjoyable companion and girl, married/unmarried who feel lonely can contact me via mail on manoylo@myself.com. I would be pleased to accompany you for event, function, drinks, dinner or just a cup of coffee. It always feels better when you speak it out. Hence feel free to contact me on the mail mentioned above for any moments to be shared together. Hiiii iam Raj from Mumbai.I am seeking for women for secret relationship its only for secret so dont be feel shy to ask or talk to me iam urs friend so call frankly life is short so enjoy the life but secret this is my email add.lovelife3902@gmail.com. I am 32 year old looking to date an woman of age between 28 to 45 years old.. I am a goodlooking 40 yrs. young man from mumbai. I am looking for mature woman upto 45 for long or short term close relationship. cast, color, status no bar. 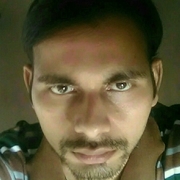 you can call or sms me on 7738869386.
hallow i am male age 47 i am working mumbai telecommunication mulund any lonely female interested friendship or oother secret relation cantact me nine eight one nine three nine four nine two four first sent me sms please dont call me gents dont call money seeker. Searching for the right bride or groom who has a good education, well settled, from a nice family? Posted ID: Tinfo.cp398. 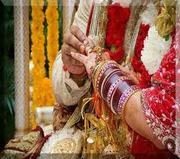 Searching for the right bride or groom is the responsibility of every parent For more information call us at 91 9822741008 or 0231 2688101 Posted ID: Tinfo.cp280. I am a 41 yrs. young goodlooking male from mumbai. I am looking for mature female friend upto 45 for long/short term close relationship. Cast, color, status no bar. Call or SMS me on 9870717877. Searching for the right bride or groom who has a good education, well settled, from a nice family? If your answer is YES, then login to http://www.jodisearch.com/ and get details of such brides and grooms in your mailbox. We are here for a complete one stop marriage solution. For more information call us at +91 9822741008 or 0231 2688101 or mail us info@jodisearch. Searching for the right bride or groom is the responsibility For a complete one stop marriage solution. For more information call us at 91 9822741008 or 0231 2688101 or mail us info@jodisearch.com & visit www.jodisearch.com. Posted ID: Tinfo.cp264. make Friendship and enjoy you life . Only intrested Women . No age bar Limit. 09867082072 hotamit36@yahoo.com. this is vasant from navi mumbai married 44 yrs old wanted a married female friend for friendship and activity partner where i can share my feelling with her and both can understand each other feeling and have a good friendhip and live the life happily.. I ordered a bottle of pheromone from here. I received the bottle and I was really restless to use it and experience the results. So carefully, I used only one spray of it because somewhere I’ve read that using a bigger quantity can be overwhelming for the senses, and since I truly wanted to make it work I took all the precautions and used lesser but sufficient quantity. Learn soul training ... Get instant relief from stress, tension, anxiety, fear, phobia, diseases ... Get instant peace, health, happiness, bliss, success, growth, prosperity ... Call us now , at Mumbai Dinesh Dave - 98207 36418. Here is the list of the best Nokia Cell Phones that have made Nokia stand with pride, we give the names of the model along with specifications and price..
seeking woman 18 to 35 years for friendship.amit 9867082072looking fun whith hot fmale /girl/housewif in mumbai. hi, i am Vipul, from Mumbai, 45/m/married experience man and interested to make freindship & relationship with unsatisfied good looking female, Any female interested in fun can mail me on vip.unique@sify.com ..
................................................... Description- In recent times, contemporary Indian feminists are fighting for second marriage and spreading the word through various movements and legally about women’s right with changing time and treating Indian windows and divorcees equally. Marriages that crumble into divorce often end on a terribly bitter note. make Friendship and enjoy you life . Only intrested Women . No age bar Limit. 8087680377 hot-rider27@hotmail.com. 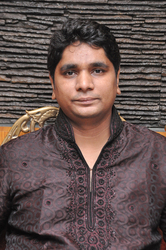 myself cheerful pleasant personality, always ready every personalise activety, cricketlover confidetial , faithfull..
hey i am sandeep 33 m , married from pune and i am mechanical engineer and working with organisation, I am in search of good lady freind which share and understand my feelings and much more. contact 9049009559 email: bhakte.s@gmail.com. India ads for Personals, Maharashtra, Personals free ads Maharashtra, Personals for sale Maharashtra, Personals to buy in Maharashtra. This page is a classified ads listing for Personals Maharashtra. This listing includes classifieds for sale and to buy in Maharashtra. If you posted an advertisement on Personals, Maharashtra before please use Edit my ads button to change or cancel your ad. Personals Maharashtra ads Maharashtra, Personals classifieds Maharashtra, Personals free ads Maharashtra, ads for sale Maharashtra, ads to buy Maharashtra, FREEADS in India. Find here ads for sale, to buy and rent in Maharashtra. Goods for sale in Maharashtra, vehicles for sale in Maharashtra, Maharashtra real estate for sale, Maharashtra property for sale, property for rent in Maharashtra, business ads in Maharashtra, Maharashtra business classifieds, services in Maharashtra, Maharashtra services ads, jobs in Maharashtra, pets for sale in Maharashtra, Maharashtra dating, Maharashtra cars for sale.